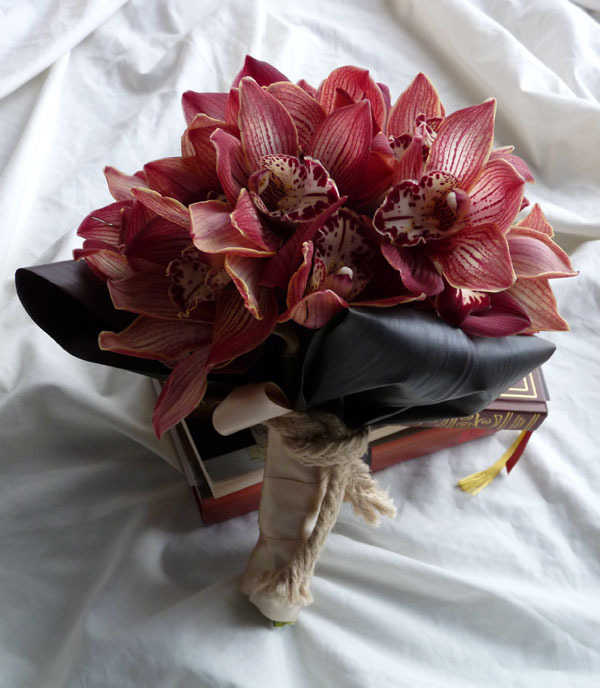 Rustic, classic charm with this otherwise exotic tropical flower. 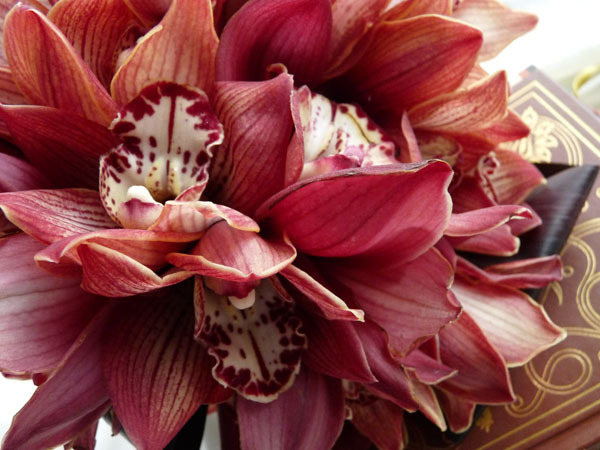 I have much respect for floral designers who work with orchids and other florals that require wiring, on a daily basis. 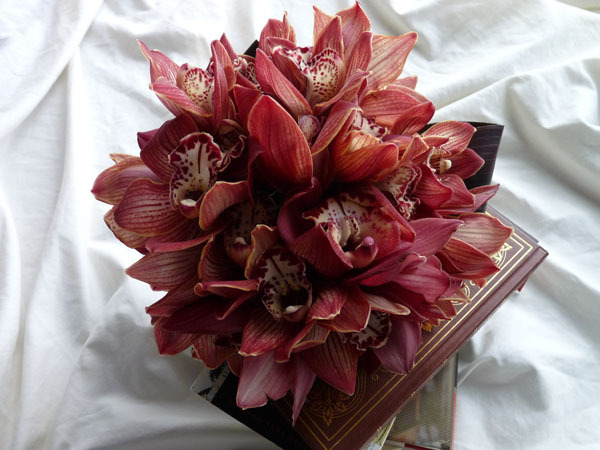 This entry was posted on Saturday, March 19th, 2011 at 1:28 pm	and tagged with brown, cymbidium orchid, cymbidium orchid bouquet, rust and posted in Portfolio. You can follow any responses to this entry through the RSS 2.0 feed. now that’s how you make an orchid WORK!